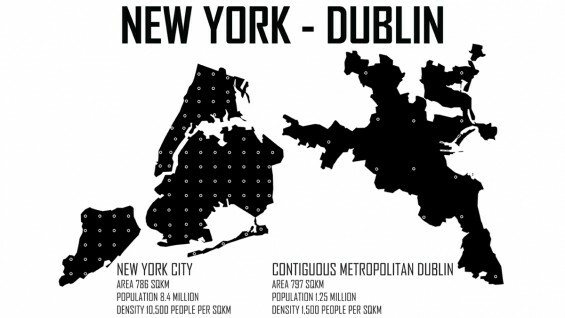 The Cooper Union community is invited to share their thoughts about New York City on a postcard to the residents of Dublin. Postcards of our City is part research and part exhibition. The traditional postcard is, if nothing else quintessentially about the storytelling of place. The postcard is both “an icon” of place and “an act” of communication, a brief written message that momentarily travels physically through space for some days often weeks and occasionally years. The postcard is a privately written message yet one that is “open” for others to read. It is simultaneously a private act, and an act of public display. In an era of instant and “invisible” electronic messaging, an immediacy that collapses time and space, Postcards of our City celebrates the simple act of writing and sending a postcard. Both the writer and reader are encouraged to reflect upon the nature of the communication between the two cities and on the anonymity between sender and receiver. The written postcards will be sent to 1,000 home addresses chosen at random from the Dublin phone book. The postcard images represent an eclectic range of self contained vignettes or observations on Dublin City taken from the book REDRAWING DUBLIN, written by Paul Kearns and Motti Ruimy. Motti Ruimy (Tel Aviv) and Paul Kearns (Dublin) are a bi-cultural art team whose mutual collaboration over the past decade have produced book publications, public art discourse events and exhibitions exploring the intersection between art, architecture and urban policy. Please stop by to enjoy a cup of coffee and share your thoughts about your city. MOTTI RUIMY was born in Petah Tikva, Israel in 1975. He studied architecture at Bezalel Academy of Art & Design, Jerusalem, graduating in 2007. He had previously studied Fine Art at Bezalel Academy, graduating in 2000. He moved to Dublin in 2000 and has since lived between Dublin, Tel Aviv and Jerusalem. He worked for Scott Tallon Walker Architects in Dublin from 2008 to 2010 and is currently working with Bruce Levine Architects, Israel. PAUL KEARNS was born in Dublin in 1966. He graduated from University College Dublin with a BA in Economics and Geography in 1988 and a Masters in Urban Planning in 1990. Between 2002 and 2004 he worked in Jerusalem as the Israeli-Palestinian correspondent for the Sunday Tribune Newspaper. He is currently working as a Senior Planner with Dublin City Council.